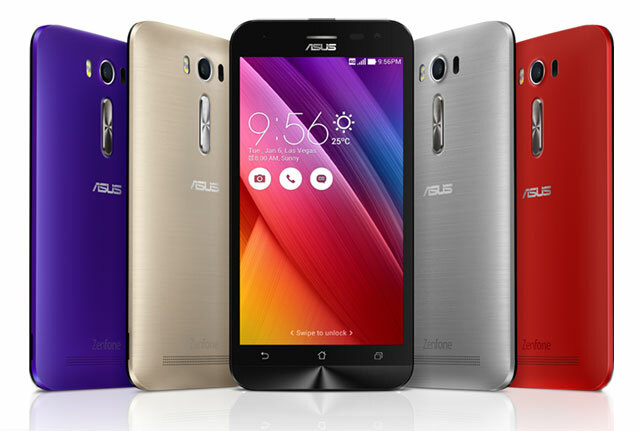 Asus Zenfone 2 Deluxe and Zenfone 2 Laser are now official! Both handsets are the improved version of your favorite Zenfone 2 variants! Check them out! Asus Zenfone 2 Deluxe and Zenfone 2 Laser are now official making these handsets the latest additions to the vast line-up of the wildly popular Zenfone 2 series. Both handsets are similar to the existing smartphone portfolio with the Zenfone 2 Deluxe as the dolled-up version of the higher-end variant that sports 4GB of RAM. On the other hand, the Asus Zenfone 2 Laser is the beefed-up version of the 5-inch Zenfone 2 ZE500CL in terms of camera capabilities. On paper, the Zenfone 2 Deluxe still have the 5.5-inch screen real estate with full HD panel. The display comes with 1920 x 1080 pixels treated with Corning Gorilla Glass 3 protection. Flipping the handset, you’ll see a premium-crafted polygonal design which, according to Asus, is made up of 500-plus triangles. Either the Intel Atom Z3560 or the Intel Atom Z3580 gives the computing power of the handset on top of the 4GB of RAM for faster app launching and multitasking activities. Across the board, the Zenfone 2 Deluxe comes with a 64GB or a 128GB internal memory configurations; both are also expandable up to 128GB via a microSD card. The handset has the same camera combination – 13MP rear and 5MP front. The 3000 mAh battery with BoostMaster technology will power the device which can charge the Zenfone 2 Deluxe up to 60 percent in 40 minutes. The Asus Zenfone 2 Laser tweaks the base Zenfone 2 unit with laser autofocus technology that locks its subject in just 0.3s. As the handset’s name implies, the company technically puts all the beef in the camera department. The sensor now employs 13MP camera that has 5 lenses with f/2.0 aperture. The sensor could also reach up to 52MP using the camera software’s Super Resolution Mode. The selfie camera now comes with 5MP (up from 2MP of the ZE500CL); it also have f/2.0 aperture which features a wide-angle lens of up to 85-degree. There’s also the Super HDR mode form taking pictures in extreme lighting conditions. Aside from the camera bump, the Zenfone 2 Laser boasts the 5-inch HD display which is protected with Gorilla Glass 4. Its computing power is given by the Snapdragon 410 coupled with 2GB of RAM. You could choose between 8GB and 16GB configuration for the internal memory; both come with expandability options. 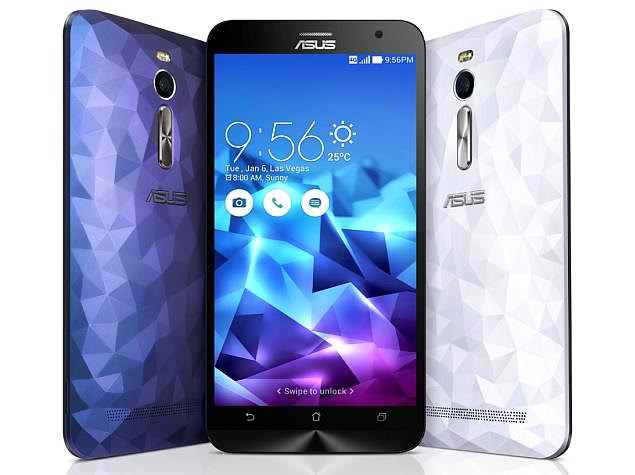 Will Asus Zenfone 2 Deluxe and Zenfone 2 Laser come in the Philippines? There’s a high chance that both devices will hit the Philippines some time this year. With a good number of new Zenfone handsets in the pipeline, this duo could be included in the list.